Amy King, current clinical site supervisor at the University of Mississippi, has been training master’s-level school counselors since 1999. Ms. King has worked diligently within the public school system since 1993, first as a teacher and then as a school counselor. She has been practicing as a school counselor in Oxford, Mississippi, since 1999, and was honored as the Oxford Middle School Teacher of the Year in that same year. 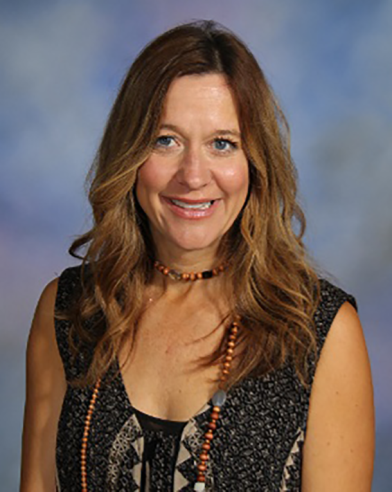 Ms. King’s sustained involvement and dedication to school counseling has helped transform the profession. An ongoing advocate for school counselors in Mississippi, Ms. King has recently contacted legislators regarding the need to educate school officials and to follow the American School Counselor Association’s (ASCA) model for school counselors. Her tireless work continues to advance her profession. Ms. King is presently enrolled in the counselor education doctoral program at the University of Mississippi. She earned her master’s degree in educational psychology in 1996 and a specialist degree in counselor education in 2008, both from the University of Mississippi. Additionally, she attained certification from the National Board for Certified Counselors in both counseling (NCC) and school counseling (NCSC) in 2008. Ms. King currently serves as an active member in a variety of professional organizations. At the state level, she participates in the Mississippi Counseling Association (MCA), and at the national level, she is actively involved in the American Counseling Association (ACA) and ASCA. Ms. King’s professional work has included numerous presentations on a variety of topics, including working with children and adults who are experiencing poverty, wellness for school counselors, techniques for using photo therapy with children, and play therapy behavior interventions. Ms. King has presented at both the state and national levels, most recently at the ASCA Conference and the Law and Ethics in Counseling Conference in New Orleans, Louisiana, sponsored by the University of Holy Cross. One of Ms. King’s present endeavors is researching the roles and responsibilities of school counselors as they relate to advocacy within the profession. In this interview, Ms. King responds to several questions addressing her career: challenges and barriers that school counselors experience, advocacy and social justice within the profession, involvement in professional organizations, and the future development of school counseling. Her shared insights will benefit many. 1. What led you to pursue a degree in counseling compared to other helping professions? When I was a high school student growing up in Starkville, Mississippi, and the house telephone rang, my father would jokingly ask, “Is the doctor in this evening?” From an early point in my life, I discovered a great deal of joy from communicating with my friends and acting as a peer counselor. My schoolmates often called for words of advice and encouragement. I knew at a pretty young age that I really liked talking with people and helping them solve problems. My parents found my ability to help others amusing and something to be proud of in my character. Both of my parents were involved in service professions. My father was an administrator with Social Security. He would invite strangers going through difficult times out to dinner with our family. He would often tell stories about people who were living in their cars, and he helped them to be able to move into a home. My father always had kind words and a humble attitude regarding all the suffering he witnessed through his work. My mother was a middle school history teacher. She was the teacher who was willing to take on the difficult students and had an amazing rapport and sense of humor with her class. My parents talked about solving problems and working to help people, so I knew that I wanted to have a career that involved reaching out to others. I learned to talk at a young age and loved communicating with others. I also have always loved children. I babysat and worked in preschools during high school and college. My undergraduate degree is in education, and I spent the first six years of my adult career teaching junior high school English. I began studying counseling immediately after completing my college degree because my students inspired me to become a counselor. I found myself wanting to help students more than I could as their English teacher. During my undergraduate studies in education, my favorite professor was a counselor educator. Dr. Joe Ray Underwood taught me health education. His ideas regarding wellness were cutting-edge in the 1990s during my tenure as a student at Mississippi State University. I am fascinated with the field of counseling and have been a lifelong learner. In 2008, I pursued a specialist degree in counseling from the University of Mississippi. I am currently enrolled in the doctoral program and hope to be finished in 2018. The opportunity to pursue my doctoral degree is fulfilling a lifelong dream of being a counselor educator. The program has empowered me to improve my work as a school counselor and publish papers regarding good practice; it also has fueled new ideas and techniques to bring to my school counseling. 2. In an article from The Oxford Eagle (November 13, 2015) you mentioned, “Many school counselors face a number of constraints preventing them from having enough time to work with students on a small group or individual basis.” Could you elaborate on this statement, as well as other challenges and barriers that you have experienced as a school counselor? In 1999, when I first became a school counselor, I was serving as the records clerk and testing coordinator for my middle school. This position required being responsible for 600 records. The clerical work involved with my job at that time made it difficult to accomplish my direct student service hours. Occasionally, I would get “in trouble” for not being quick enough with records, but I always put my students before paperwork. Paper does not suffer, but students do. I advocated for a clerical assistant to help with managing records and convinced the superintendent’s office to allow me to document my time in student-related services. I spoke before the school board, and by 2002, the following school year, I had a full-time clerical assistant. Being able to practice within ASCA’s guidelines is what every school counseling student expects upon graduation. Documenting the actual counseling work is necessary to advocate for best practices in our current professional setting. It is important to not be afraid to speak up regarding the best practices of school counselors. I took the chance to speak up for my profession, and by 2004, each school in our district had a clerical assistant. The assistant made it possible for me to conduct classroom guidance, provide more individual counseling sessions, and even host a career fair. 3. In your view, what can be done, or needs to change, to address these challenges and barriers? Mississippi legislators have addressed the issue of changing policies within public education. In 2014, State Sen. Gray Tollison wrote a bill for school counselors to go into effect for the 2014–2015 school year. MS Code § 37-9-79 3 specifically states that counselors must graduate from a CACREP-accredited program and design a comprehensive guidance program utilizing data analysis (Mississippi School Counselor Law, 2014). It also requires that school counselors spend 80% of the school day in student-related services following ASCA’s model for school counseling. The fact that this bill has been passed is not widely known by school administrators or counselors, with the excuse of budget constraints as the rationale for why school counselors are not following the state bill as well as the ASCA National Model. Educating school officials about the state legislation regarding school counselor practice is a mission that I am passionately pursuing within my graduate studies and my public school setting. I am a member of the MCA, and there is an organized group within MCA that marched to the steps of the state capitol when decisions were being made regarding the funding and direction of Mississippi’s educational programs. I have made contact with Sen. Tollison, who wrote the law, to thank him and let him know that I am advocating for the law in my graduate studies and my school setting. My dissertation topic is a qualitative analysis of the work of school counselors in Mississippi and their alignment with the ASCA model. School administrators need to be educated regarding the importance of following the ASCA model. Test scores are a major concern for administrators; therefore, the connection between allowing the counselor to design and implement a comprehensive guidance program that will help increase test scores is a crucial component in shedding light on the importance of a school counselor’s work. The counselor education department at the University of Mississippi is working closely with the educational leadership department to help future leadership teams within the school setting better understand professional goals within the counseling profession as they relate to student success. 4. When discussing systemic change, how do you view your role as a school counselor and collaborative leader when working with school administrators, teachers, parents, and community members? My role as a school counselor can only be effective when I practice advocacy as a collaborative leader in working with administrators, teachers, staff, parents, and community members. When practicing advocacy with my principal, I am mindful of involving her as an important stakeholder in my work. I send her a yearly calendar of important components of my guidance curriculum, giving her the opportunity to provide feedback regarding our weekly, monthly, and yearlong goals. My advice to school counselors regarding their work with administration is to keep striving to educate their school leadership team about their comprehensive guidance plan and to have a weekly, monthly, and yearly plan that is well communicated to the administration. This year my theme is “A Community of Helpers.” We visit the State Veterans Home, the local retirement community, the recycling center, and the animal shelter with the overall theme of helping people, our Earth, and animals. I practice advocacy with my teachers by teaching guidance lessons in the classroom and supervising lunch duty. This allows me opportunities to build connections with students. In addition, I partner with school administration and teachers to design a master schedule that best meets students’ needs. This will ensure that the students’ placements are suited for their personal, social, and academic development. I am currently advocating for the teachers to have a lunch break next year because they currently do not have one. I have had the pleasure of working in the same community for the past 20 years, which has helped my working relationship with parents tremendously. I am currently employed in the elementary setting, which means I have taught or counseled many of the parents at my school. It has been beautiful to see the second generation of families that I have known and loved for my entire career. I view the students as future adult members of the community where I live, and I want to help support and make each member a productive part of society. I often recognize that a current student in my school looks like a former student that I taught or counseled, and I will then discover that the mother or father was one of my former students! I have been so fortunate to have two generations of families within my career. I am able to praise parents for doing a good job with their children and also offer guidance and suggestions when appropriate. 5. School counselors are often relied upon to be political advocates for students. Over the years what has been your experience as an advocate for issues such as social reform, educational policy, administrative functions, and multicultural issues? How can school counselors become more active in advocating for students? For an example, a few years ago my students faced the possibility of being required to wear school uniforms. The majority of the students were upset and did not want to wear uniforms. I organized a meeting with the student council and the school board so the students could present research about why uniforms would not work well in our school. The board ended up voting against the uniforms, and the students felt vindicated in advocating for themselves, with a little guidance. wagon to deliver the snacks to the students. The student(s) who receive the Love Packs do not feel ashamed or embarrassed, and it works as a reminder for everyone to be thankful for what we have. Each month my school features a donation food of the month to help stock the Love Packs food pantry. I host a fundraiser at my school, honoring the classes who raise the most money with a pizza party and school-wide special recognition for their helping activities. In addition, at our school there are students who need warm coats, shoes, and new clothing and underwear. I have a clothing closet that I rely on the community to stock. Students who live in poverty know that if they need clean or warm clothes, they can come and visit my closet. I am currently working on a Christmas drive. I have 23 Love Pack recipients, and I am advocating and working with the community to keep the spirit of Christmas alive in the hearts of these youngsters by finding sponsors to help them have Christmas gifts, a tree, and Christmas dinner. I am taking special field trips with all of the second graders at Oxford Elementary this year after completing service projects. We have already visited the Mississippi State Veterans Home; we sang patriotic songs and made cards to bring cheer and hope. I took another group to a nursing home for Christmas caroling and distributing Christmas cards. For Earth Day, we visited the local recycling center and participated in a clean-up at the lake. I also will complete a donation drive and a visit to our local animal shelter. One of my yearlong goals within the “Community of Helpers” theme is to participate in an opportunity of giving and extending random acts of kindness with all 300 second graders in my school. I encourage school counselors to get involved with their community and to relate to and understand the needs of their student population. Networking is crucial to advocacy and meeting the needs of the school population. 6. What has been your experience when interacting with national and local organizations, such as ACA and ASCA? Do you feel supported by professional organizations and leaders, and has this changed in the last 20 years? Last summer, I had the pleasure of presenting at ASCA in New Orleans. This wonderful opportunity allowed me to connect with school counselors and counselor educators. My presentation focused on wellness and the importance of self-care when helping others. I also had the opportunity to present for the past two years at the Law and Ethics in Counseling Conference in New Orleans. I reported on human services issues related to poverty and the lack of parenting education. This conference had valuable workshops regarding the legal and ethical guidelines of reporting child abuse that were extremely helpful to my work. There is a tremendous amount of social work involved in school counseling, and the Law and Ethics in Counseling Conference provided valuable educational guidelines to help deal with some of these issues. When presenting, I am funded by the University of Mississippi to attend meetings because I am collaborating with my colleagues and professors in writing papers and conducting presentations. My school district also helps pay for my professional development. The Law and Ethics in Counseling Conference was amazing and offered insights related to professional development. The University of Mississippi has outstanding opportunities for growth regarding multiculturalism. I have taken my middle school students to the university’s religion festival on campus, and I was recently invited to the Saudi Arabian Festival by some of my parents. 7. Throughout your years of practice, what has been your experience when collaborating with other mental health and medical professionals? Collaboration has been a key component in moving my school counseling program forward. When a student is in crisis, it is crucial to work with doctors to help the whole person. Also, in dealing with students who live in poverty, knowing and using community resources helps with the burdens that the student population faces. I take pleasure in helping parents with educational counseling, social work, alcohol and drug issues, and a variety of other problems that are not within my scope, which is why collaboration really saves lives. It is important to know the mental health agencies and what they offer within the community and to work as a team in order to provide the student population with all of the tools necessary to be healthy. Collaborating with doctors has been the necessary piece of the puzzle that helps support students who are experiencing severe or unique problems. It is especially tricky to diagnose children; therefore, bridging the gap of communication between all the necessary players is a key component to providing the highest level of support and making the most informed decisions about how to help children. A few years ago, I had a student who had an apparent medical issue but no presenting symptoms. The student went to a specialist for an examination. The doctor suggested that the symptoms might be psychosomatic and stress-induced; he had the family sign a release of information and get in touch with me. After meeting and collaborating with the doctor, we were able to successfully treat the phobia. Within a month, the physical symptoms subsided and the student began to heal emotionally. The student is now well adjusted and occasionally sends me a thank-you email. The student might not have improved without the collaboration among the doctor, teachers, and me. I have been very fortunate to have the opportunity to collaborate with members of my local health care professional teams to help the student population that I am serving. 8. For future school counselors, what advice would you have regarding their involvement in the advancement and future development of the profession? My advice is to stay in school. Take at least one class per year if possible. Never stop learning. I learned more from taking random classes I was interested in than from working on my master’s degree. Also, attend professional workshops when possible and submit proposals to present at conferences. Presenting is a great way to grow professionally. I was fortunate enough to present twice at ASCA this year in Denver. Also, think of designing a guidance curriculum that fits the needs of your students. When I worked with middle school students, I had a club called “RAK” (Random Acts of Kindness) dedicated to helping others. The students involved needed to feel like a part of their school and to have a group in which to belong. Also, pay attention to your own needs. I work hard to take care of myself. I am unable to help others effectively unless I am taking care of myself. I love the outdoors, exercising, trying to be healthy, and promoting wellness in my school. This concludes the second interview for the annual Lifetime Achievement in Counseling Series. TPC is grateful to Joshua Smith, NCC, and Dr. Neal Gray for providing this interview. Joshua Smith is a doctoral student in counselor education and supervision at the University of North Carolina at Charlotte. Neal D. Gray is a professor and chair of the school of counseling at Lenoir-Rhyne University. Correspondence can be emailed to Joshua Smith at jsmit643@uncc.edu. Mississippi School Counselor Law, MS Code § 37-9-79 (2014).